In the fields you need to input the information required in order for the page to be fully displayed on the website. If you leave a blank, that part of the page will not be displayed. Title - Enter the page title, it will be also be the item name for the main menu you will create for the navigation. Text Editor - Here you can add custom information only if you select the default template and not any other preset. Here you can really express your creativity. 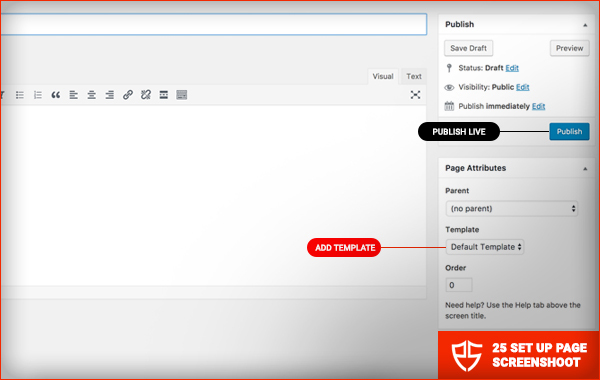 To create a blank page go to Pages / Add New & select the blank page template. This practically serves as a default template for you to create more content besides the one we provided you. You can insert custom HTML here as you wish, images, iframes etc. In general this blank page and how you develop it further depends on your imagination! 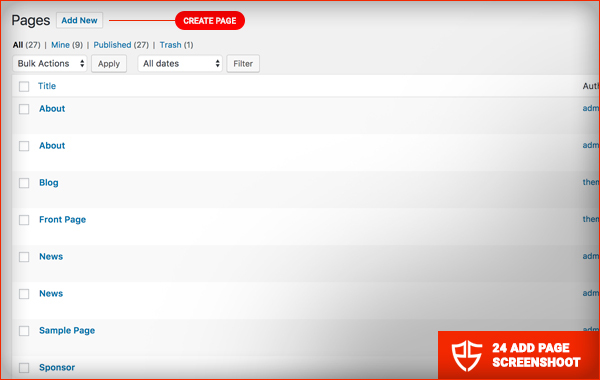 After you are done creating the pages, you need to finish up & save and set up the menu now!